Emotional self-regulation or emotion regulation is the ability to respond to the ongoing demands of experience with the range of emotions in a manner that is socially tolerable and sufficiently flexible to permit spontaneous reactions as well as the ability to delay spontaneous reactions as needed. It can also be defined as extrinsic and intrinsic processes responsible for monitoring, evaluating, and modifying emotional reactions. Emotional self-regulation belongs to the broader set of emotion-regulation processes, which includes both the regulation of one's own feelings and the regulation of other people's feelings. Emotional regulation is a complex process that involves initiating, inhibiting, or modulating one's state or behavior in a given situation – for example the subjective experience (feelings), cognitive responses (thoughts), emotion-related physiological responses (for example heart rate or hormonal activity), and emotion-related behavior (bodily actions or expressions). Functionally, emotional regulation can also refer to processes such as the tendency to focus one's attention to a task and the ability to suppress inappropriate behavior under instruction. Emotional regulation is a highly significant function in human life. Every day, people are continually exposed to a wide variety of potentially arousing stimuli. Inappropriate, extreme or unchecked emotional reactions to such stimuli could impede functional fit within society; therefore, people must engage in some form of emotion regulation almost all of the time. Generally speaking, emotional dysregulation has been defined as difficulties in controlling the influence of emotional arousal on the organization and quality of thoughts, actions, and interactions. Individuals who are emotionally dysregulated exhibit patterns of responding in which there is a mismatch between their goals, responses, and/or modes of expression, and the demands of the social environment. For example, there is a significant association between emotion dysregulation and symptoms of depression, anxiety, eating pathology, and substance abuse. Higher levels of emotion regulation are likely to be related to both high levels of social competence and the expression of socially appropriate emotions. Situation: the sequence begins with a situation (real or imagined) that is emotionally relevant. Attention: attention is directed towards the emotional situation. Appraisal: the emotional situation is evaluated and interpreted. Response: an emotional response is generated, giving rise to loosely coordinated changes in experiential, behavioral, and physiological response systems. Because an emotional response (4.) can cause changes to a situation (1. ), this model involves a feedback loop from (4.) Response to (1.) Situation. This feedback loop suggests that the emotion generation process can occur recursively, is ongoing, and dynamic. The process model also divides these emotion regulation strategies into two categories: antecedent-focused and response-focused. Antecedent-focused strategies (i.e., situation selection, situation modification, attentional deployment, and cognitive change) occur before an emotional response is fully generated. Response-focused strategies (i.e., response modulation) occur after an emotional response is fully generated. Situation selection involves choosing to avoid or approach an emotionally relevant situation. If a person selects to avoid or disengage from an emotionally relevant situation, he or she is decreasing the likelihood of experiencing an emotion. Alternatively, if a person selects to approach or engage with an emotionally relevant situation, he or she is increasing the likelihood of experiencing an emotion. Typical examples of situation selection may be seen interpersonally, such as when a parent removes his or her child from an emotionally unpleasant situation. Use of situation selection may also be seen in psychopathology. For example, avoidance of social situations to regulate emotions is particularly pronounced for those with social anxiety disorder and avoidant personality disorder. Effective situation selection is not always an easy task. For instance, humans display difficulties predicting their emotional responses to future events. Therefore, they may have trouble making accurate and appropriate decisions about which emotionally relevant situations to approach or to avoid. Situation modification involves efforts to modify a situation so as to change its emotional impact. Situation modification refers specifically to altering one's external, physical environment. Altering one's "internal" environment to regulate emotion is called cognitive change. Examples of situation modification may include injecting humor into a speech to elicit laughter or extending the physical distance between oneself and another person. Attentional deployment involves directing one's attention towards or away from an emotional situation. Distraction, an example of attentional deployment, is an early selection strategy, which involves diverting one's attention away from an emotional stimulus and towards other content. Distraction has been shown to reduce the intensity of painful and emotional experiences, to decrease facial responding and neural activation in the amygdala associated with emotion, as well as to alleviate emotional distress. As opposed to reappraisal, individuals show a relative preference to engage in distraction when facing stimuli of high negative emotional intensity. This is because distraction easily filters out high-intensity emotional content, which would otherwise be relatively difficult to appraise and process. Rumination, an example of attentional deployment, is defined as the passive and repetitive focusing of one's attention on one's symptoms of distress and the causes and consequences of these symptoms. Rumination is generally considered to be a maladaptive emotion regulation strategy, as it tends to exacerbate emotional distress. It has also been implicated in a host of disorders including major depression. Worry, an example of attentional deployment, involves directing attention to thoughts and images concerned with potentially negative events in the future. By focusing on these events, worrying serves to aid in the downregulation of intense negative emotion and physiological activity. While worry may sometimes involve problem solving, incessant worry is generally considered maladaptive, being a common feature of anxiety disorders, particularly generalized anxiety disorder. Thought suppression, an example of attentional deployment, involves efforts to redirect one's attention from specific thoughts and mental images to other content so as to modify one's emotional state. Although thought suppression may provide temporary relief from undesirable thoughts, it may ironically end up spurring the production of even more unwanted thoughts. This strategy is generally considered maladaptive, being most associated with obsessive-compulsive disorder. Cognitive change involves changing how one appraises a situation so as to alter its emotional meaning. Reappraisal, an example of cognitive change, is a late selection strategy, which involves reinterpreting the meaning of an event so as to alter its emotional impact. For example, this might involve reinterpreting an event by broadening one's perspective to see "the bigger picture." Reappraisal has been shown to effectively reduce physiological, subjective, and neural emotional responding. As opposed to distraction, individuals show a relative preference to engage in reappraisal when facing stimuli of low negative emotional intensity because these stimuli are relatively easy to appraise and process. Reappraisal is generally considered to be an adaptive emotion-regulation strategy. Compared to suppression, which is correlated negatively with many psychological disorders, reappraisal can be associated with better interpersonal outcomes, and can be positively related to wellbeing. However, some researchers argue that context is important when evaluating the adaptiveness of a strategy, suggesting that in some contexts reappraisal may be maladaptive. Distancing, an example of cognitive change, involves taking on an independent, third-person perspective when evaluating an emotional event. Distancing has been shown to be an adaptive form of self-reflection, facilitating the emotional processing of negatively valenced stimuli, reducing emotional and cardiovascular reactivity to negative stimuli, and increasing problem-solving behavior. Humor, an example of cognitive change, has been shown to be an effective emotion regulation strategy. Specifically, positive, good-natured humor has been shown to effectively upregulate positive emotion and downregulate negative emotion. On the other hand, negative, mean-spirited humor is less effective in this regard. Response modulation involves attempts to directly influence experiential, behavioral, and physiological response systems. Expressive suppression, an example of response modulation, involves inhibiting emotional expressions. It has been shown to effectively reduce facial expressivity, subjective feelings of positive emotion, heart rate, and sympathetic activation. However, the research is mixed regarding whether this strategy is effective for downregulating negative emotion. Research has also shown that expressive suppression may have negative social consequences, correlating with reduced personal connections and greater difficulties forming relationships. Expressive suppression is generally considered to be a maladaptive emotion-regulation strategy. Compared to reappraisal, it is correlated positively with many psychological disorders, associated with worse interpersonal outcomes, is negatively related to wellbeing, and requires the mobilization of a relatively substantial amount of cognitive resources. However, some researchers argue that context is important when evaluating the adaptiveness of a strategy, suggesting that in some contexts suppression may be adaptive. Drug use, an example of response modulation, can be a way to alter emotion-associated physiological responses. For example, alcohol can produce sedative and anxiolytic effects and beta blockers can affect sympathetic activation. Exercise, an example of response modulation, can be used to downregulate the physiological and experiential effects of negative emotions. Regular physical activity has also been shown to reduce emotional distress and improve emotional control. Sleep plays a role in emotion regulation, although stress and worry can also interfere with sleep. Studies have shown that sleep, specifically REM sleep, down-regulates reactivity of the amygdala, a brain structure known to be involved in the processing of emotions, in response to previous emotional experiences. On the flip side, sleep deprivation is associated with greater emotional reactivity or overreaction to negative and stressful stimuli. This is a result of both increased amygdala activity and a disconnect between the amygdala and the prefrontal cortex, which regulates the amygdala through inhibition, together resulting in an overactive emotional brain. Due to the subsequent lack of emotional control, sleep deprivation may be associated with depression, impulsivity, and mood swings. Additionally, there is some evidence that sleep deprivation may reduce emotional reactivity to positive stimuli and events and impair emotion recognition in others. Emotion-regulation strategies are taught, and emotion-regulation problems are treated, in a variety of approaches to counseling and psychotherapy, including cognitive behavioral therapy (CBT), dialectical behavior therapy (DBT), emotion-focused therapy (EFT), and mindfulness-based cognitive therapy (MBCT). Build mastery by being active in activities that make one feel competent and effective to combat helplessness. Cope ahead, preparing an action plan, researching, and rehearsing (with a skilled helper if necessary). Physical illness treatment and prevention through checkups. Low vulnerability to diseases, managed with health care professionals. Intrinsic emotion-regulation efforts during infancy are believed to be guided primarily by innate physiological response systems. These systems usually manifest as an approach towards and an avoidance of pleasant or unpleasant stimuli. At three months, infants can engage in self-soothing behaviors like sucking and can reflexively respond to and signal feelings of distress. For instance, infants have been observed attempting to suppress anger or sadness by knitting their brow or compressing their lips. Between three and six months, basic motor functioning and attentional mechanisms begin to play a role in emotion regulation, allowing infants to more effectively approach or avoid emotionally relevant situations. Infants may also engage in self-distraction and help-seeking behaviors for regulatory purposes. At one year, infants are able to navigate their surroundings more actively and respond to emotional stimuli with greater flexibility due to improved motor skills. They also begin to appreciate their caregivers' abilities to provide them regulatory support. For instance, infants generally have difficulties regulating fear. As a result, they often find ways to express fear in ways that attract the comfort and attention of caregivers. Extrinsic emotion-regulation efforts by caregivers, including situation selection, modification, and distraction, are particularly important for infants. The emotion regulation strategies employed by caregivers to attenuate distress or to upregulate positive affect in infants can impact the infants' emotional and behavioral development, teaching them particular strategies and methods of regulation. The type of attachment style between caregiver and infant can therefore play a meaningful role in the regulatory strategies infants may learn to use. Recent evidence supports the idea that maternal singing has a positive effect on affect regulation in infants. Singing play-songs, such as "The Wheels on the Bus" or "She'll Be Comin' Round the Mountain" have a visible affect-regulatory consequence of prolonged positive affect and even alleviation of distress. In addition to proven facilitation of social bonding, when combined with movement and/or rhythmic touch, maternal singing for affect regulation has possible applications for infants in the NICU and for adult caregivers with serious personality or adjustment difficulties. By the end of the first year, toddlers begin to adopt new strategies to decrease negative arousal. These strategies can include rocking themselves, chewing on objects, or moving away from things that upset them. At two years, toddlers become more capable of actively employing emotion regulation strategies. They can apply certain emotion regulation tactics to influence various emotional states. Additionally, maturation of brain functioning and language and motor skills permits toddlers to manage their emotional responses and levels of arousal more effectively. Extrinsic emotion regulation remains important to emotional development in toddlerhood. Toddlers can learn ways from their caregivers to control their emotions and behaviors. For example, caregivers help teach self-regulation methods by distracting children from unpleasant events (like a vaccination shot) or helping them understand frightening events. Emotion-regulation knowledge becomes more substantial during childhood. For example, children aged six to ten begin to understand display rules. They come to appreciate the contexts in which certain emotional expressions are socially most appropriate and therefore ought to be regulated. For example, children may understand that upon receiving a gift they should display a smile, irrespective of their actual feelings about the gift. During childhood, there is also a trend towards the use of more cognitive emotion regulation strategies, taking the place of more basic distraction, approach, and avoidance tactics. Regarding the development of emotion dysregulation in children, one robust finding suggests that children who are frequently exposed to negative emotion at home will be more likely to display, and have difficulties regulating, high levels of negative emotion. Adolescents show a marked increase in their capacities to regulate their emotions, and emotion-regulation decision making becomes more complex, depending on multiple factors. In particular, the significance of interpersonal outcomes increases for adolescents. When regulating their emotions, adolescents are therefore likely to take into account their social context. For instance, adolescents show a tendency to display more emotion if they expect a sympathetic response from their peers. Additionally, spontaneous use of cognitive emotion-regulation strategies increases during adolescence, which is evidenced both by self-report data and neural markers. Social losses increase and health tends to decrease as people age. As people get older their motivation to seek emotional meaning in life through social ties tends to increase. Autonomic responsiveness decreases with age, and emotion-regulation skill tends to increase. As people age, their affect – the way they react to emotions – changes, either positively or negatively. Studies show that positive affect increases as a person grows from adolescence to their mid 70s. Negative affect, on the other hand, decreases until the mid 70s. Studies also show that emotions differ in adulthood, particularly affect (positive or negative). Although some studies found that affect decreases[clarification needed] with age, some have concluded that adults in their middle age experience more positive affect and less negative affect than younger adults. Positive affect was also higher for men than women while the negative affect was higher for women than it was for men and also for single people. A reason that older people – middle adulthood – might have less negative affect is because they have overcome, "the trials and vicissitudes of youth, they may increasingly experience a more pleasant balance of affect, at least up until their mid-70s". Positive affect might rise during middle age but towards the later years of life – the 70s – it begins to decline while negative affect also does the same. This might be due to failing health, reaching the end of their lives and the death of friends and relatives. In addition to baseline levels of positive and negative affect, studies have found individual differences in the time-course of emotional responses to stimuli. The temporal dynamics of emotional regulation, also known as affective chronometry, include two key variables in the emotional response process: rise time to peak emotional response, and recovery time to baseline levels of emotion. Studies of affective chronometry typically separate positive and negative affect into distinct categories, as previous research has shown (despite some correlation) the ability of humans to experience changes in these categories independently of one another. Affective chronometry research has been conducted on clinical populations with anxiety, mood, and personality disorders, but is also utilized as a measurement to test the effectiveness of different therapeutic techniques (including mindfulness training) on emotional dysregulation. The development of functional magnetic resonance imaging has allowed for the study of emotion regulation on a biological level. Specifically, research over the last decade strongly suggests that there is a neural basis. Sufficient evidence has correlated emotion regulation to particular patterns of prefrontal activation. These regions include the orbital prefrontal cortex, the ventromedial prefrontal cortex, and the dorsolateral prefrontal cortex. Two additional brain structures that have been found to contribute are the amygdala and the anterior cingulate cortex. Each of these structures are involved in various facets of emotion regulation and irregularities in one or more regions and/or interconnections among them are affiliated with failures of emotion regulation. An implication to these findings is that individual differences in prefrontal activation predict the ability to perform various tasks in aspects of emotion regulation. People intuitively mimic facial expressions; it is a fundamental part of healthy functioning. Similarities across cultures in regards to nonverbal communication has prompted the debate that it is in fact a universal language. It can be argued that emotional regulation plays a key role in the ability to emit the correct responses in social situations. Humans have control over facial expressions both consciously and unconsciously: an intrinsic emotion program is generated as the result of a transaction with the world, which immediately results in an emotional response and usually a facial reaction. It is a well documented phenomenon that emotions have an effect on facial expression, but recent research has provided evidence that the opposite may also be true. This notion would give rise to the belief that a person may not only control his emotion but in fact influence them as well. Emotional regulation focuses on providing the appropriate emotion in the appropriate circumstances. 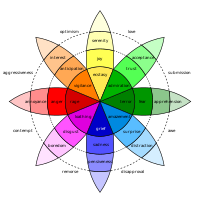 Some theories allude to the thought that each emotion serves a specific purpose in coordinating organismic needs with environmental demands (cole 1994). This skill, although apparent throughout all nationalities, has been shown to vary in successful application at different age groups. In experiments done comparing younger and older adults to the same unpleasant stimuli, older adults were able to regulate their emotional reactions in a way that seemed to avoid negative confrontation. These findings support the theory that with time people develop a better ability to regulate their emotions. This ability found in adults seems to better allow individuals to react in what would be considered a more appropriate manner in some social situations, permitting them to avoid adverse situations that could be seen as detrimental. In solitary conditions, emotional regulation can include a minimization-miniaturization effect, in which common outward expressive patterns are replaced with toned down versions of expression. Unlike other situations, in which physical expression (and its regulation) serve a social purpose (i.e. conforming to display rules or revealing emotion to outsiders), solitary conditions require no reason for emotions to be outwardly expressed (although intense levels of emotion can bring out noticeable expression anyway). The idea behind this is that as people get older, they learn that the purpose of outward expression (to appeal to other people), is not necessary in situations in which there is no one to appeal to. As a result, the level of emotional expression can be lower in these solitary situations. According to Yu. V. Scherbatykh, emotional stress in situations like school examinations can be reduced by engaging in self-regulating activities prior to the task being performed. To study the influence of self-regulation on mental and physiological processes under exam stress, Shcerbatykh conducted a test with an experimental group of 28 students (of both sexes) and a control group of 102 students (also of both sexes). In the moments before the examination, situational stress levels were raised in both groups from what they were in quiet states. In the experimental group, participants engaged in three self-regulating techniques (concentration on respiration, general body relaxation, and the creation of a mental image of successfully passing the examination). During the examination, the anxiety levels of the experimental group were lower than that of the control group. Also, the percent of unsatisfactory marks in the experimental group was 1.7 times less than in the control group. From this data, Scherbatykh concluded that the application of self-regulating actions before examinations helps to significantly reduce levels of emotional strain, which can help lead to better performance results. Identification of our emotional self-regulating process can facilitate in the decision making process. Current literature on emotion regulation identifies that humans characteristically make efforts in controlling emotion experiences. There is then a possibility that our present state emotions can be altered by emotional regulation strategies resulting in the possibility that different regulation strategies could have different decision implications. With a failure in emotional regulation there is a rise in psychosocial and emotional dysfunctions caused by traumatic experiences due to an inability to regulate emotions. These traumatic experiences typically happen in grade school and are sometimes associated with bullying. Children who can't properly self-regulate express their volatile emotions in a variety of ways, including screaming if they don't have their way, lashing out with their fists, or bullying other children. Such behaviors often elicit negative reactions from the social environment, which, in turn, can exacerbate or maintain the original regulation problems over time, a process termed cumulative continuity. These children are more likely to have conflict-based relationships with their teachers and other children. This can lead to more severe problems such as an impaired ability to adjust to school and predicts school dropout many years later. Children who fail to properly self-regulate grow as teenagers with more emerging problems. Their peers begin to notice this "immaturity", and these children are often excluded from social groups and teased and harassed by their peers. This "immaturity" certainly causes some teenagers to become social outcasts in their respective social groups, causing them to lash out in angry and potentially violent ways. Being teased or being an outcast during the teenage years is especially damaging and could lead to a dysfunctional future, which is why it is recommended to foster emotional self-regulation in children as early as possible. ^ Thompson, R. A. (1994). "Emotion regulation: a theme in search of definition". Monographs for the Society for Research in Child Development. 59 (2–3): 25–52. doi:10.1111/j.1540-5834.1994.tb01276.x. ^ Niven, K.; Totterdell, P.; Holman, D. (2009). "A classification of controlled interpersonal affect regulation strategies". Emotion. 9 (4): 498–509. doi:10.1037/a0015962. PMID 19653772. ^ Burman, J. T.; Green, C. D.; Shanker, S. (2015). "On the Meanings of Self-Regulation: Digital Humanities in Service of Conceptual Clarity". Child Development. 86 (5): 1507–1521. doi:10.1111/cdev.12395. PMID 26234744. ^ a b Zeman, J.; Cassano, M.; Perry-Parrish, C.; Stegall, S. (2006). "Emotion regulation in children and adolescents". Journal of Developmental and Behavioral Pediatrics. 27 (2): 155–168. doi:10.1097/00004703-200604000-00014. ^ a b c Aldao, A., Nolen-Hoeksema, S., & Schweizer, S. (2010). Emotion-regulation stratgies across psychopathology: a meta-analytic review" Clinical Psychology Review 30, 217e237. ^ Aldao, A.; Nolen-Hoeksema, S. (2010). "Specificity of cognitive emotion regulation strategies: a transdiagnostic examination". Behaviour Research and Therapy. 48 (10): 974–983. doi:10.1016/j.brat.2010.06.002. PMID 20591413. ^ Fabes, R. A.; Eisenberg, N.; Jones, S.; Smith, M.; Guthrie, I.; Poulin, R.; Shepard, S.; Friedman, J. (1999). "Regulation, emotionality, and pre-schoolers' socially competent peer interactions". Child Development. 70 (2): 432–442. doi:10.1111/1467-8624.00031. ^ Pulkkinen, L. (1982). Self-control and continuity from childhood to late adolescence. In P. B. Bakes & O. Brim Jr. (Eds. ), Life-span development and behavior (Vol. 4, pp. 63-105). New York: Academic Press. ^ a b c d Gross, J. J. & Thompson, R. A. (2007). Emotion regulation: Conceptual foundations. In J. J. Gross (Ed. ), Handbook of Emotion Regulation (pp. 3-24). New York: Guilford Press. ^ a b c d e f g Gross, J. J. (1998). "The emerging field of emotion regulation: An integrative review". Review of General Psychology. 2 (3): 271–299. CiteSeerX 10.1.1.476.7042. doi:10.1037/1089-2680.2.3.271. ^ a b Gross, J. J. (1998). "Antecedent- and response-focused emotion regulation: Divergent consequences for experience, expression, and physiology". Journal of Personality and Social Psychology. 74: 224–237. CiteSeerX 10.1.1.688.783. doi:10.1037/0022-3514.74.1.224. ^ Fox, N. A.; Calkins, S. D. (2003). "The development of self-control of emotion: Intrinsic and extrinsic influences". Motivation and Emotion. 27 (1): 7–26. doi:10.1023/A:1023622324898. ^ Wells, A.; Papageorgiou, C. (1998). "Social phobia: Effects of external attention on anxiety, negative beliefs, and perspective taking". Behavior Therapy. 29 (3): 357–370. doi:10.1016/s0005-7894(98)80037-3. ^ a b c d e f Campbell-Sills, L. & Barlow, D. H. (2007). Incorporating emotion regulation into conceptualizations and treatments of anxiety and mood disorders. In J. J. Gross (Ed. ), Handbook of Emotion Regulation (pp. 542-559). New York: Guilford Press. ^ Loewenstein, G. (2007). Affect regulation and affective forecasting. In J. J. Gross (Ed. ), Handbook of Emotion Regulation (pp.180-203). New York: Guilford Press. ^ Hofmann, S. G.; Gerlach, A. L.; Wender, A.; Roth, W T. (1997). "Speech disturbances and gaze behavior during public speaking in subtypes of social phobia". Journal of Anxiety Disorders. 11 (6): 573–585. doi:10.1016/s0887-6185(97)00040-6. ^ Edelmann, R. J.; Iwawaki, S. (1987). "Self-reported expression and consequences of embarrassment in the United Kingdom and Japan". Psychologia. 30 (4): 205–216. ^ Sheppes, G.; Gross, J. J. (2011). "Is timing everything? Temporal considerations in emotion regulation". Personality and Social Psychology Review. 15 (4): 319–331. CiteSeerX 10.1.1.688.4292. doi:10.1177/1088868310395778. PMID 21233326. ^ Seminowicz, D. A.; Davis, K. D. (2007). "Interactions of pain intensity and cognitive load: the brain stays on task". Cerebral Cortex. 17 (6): 1412–1422. doi:10.1093/cercor/bhl052. PMID 16908493. ^ a b Urry, H. L. (2010). "Seeing, thinking, and feeling: emotion-regulating effects of gaze-directed cognitive reappraisal". Emotion. 10: 125–135. CiteSeerX 10.1.1.514.4324. doi:10.1037/a0017434. ^ Kanske, Philipp; Heissler, Janine; Schönfelder, Sandra; Bongers, André; Wessa, Michèle (1 June 2011). "How to Regulate Emotion? Neural Networks for Reappraisal and Distraction". Cerebral Cortex. 21 (6): 1379–1388. doi:10.1093/cercor/bhq216. ISSN 1047-3211. PMID 21041200. ^ Nolen-Hoeksema, S.; Morrow, J. (1993). "Effects of rumination and distraction on naturally occurring depressed mood". Cognition and Emotion. 7 (6): 561–570. doi:10.1080/02699939308409206. ^ a b Sheppes, G.; Scheibe, S.; Suri, G.; Gross, J. J. (2011). "Emotion-regulation choice". Psychological Science. 22 (11): 1391–1396. doi:10.1177/0956797611418350. PMID 21960251. ^ Nolen-Hoeksema, S.; Wisco, B. E.; Lyubomirsky, S. (2008). "Rethinking rumination". Perspectives on Psychological Science. 3 (5): 400–424. doi:10.1111/j.1745-6924.2008.00088.x. PMID 26158958. ^ Borkovec, T. D.; Robinson, E.; Pruzinsky, T.; DePree, J. A. (1983). "Preliminary exploration of worry: Some characteristics and processes". Behaviour Research and Therapy. 21 (1): 9–16. doi:10.1016/0005-7967(83)90121-3. PMID 6830571. ^ Borkovec, T. D.; Inz, J. (1990). "The nature of worry in generalized anxiety disorder: A predominance of thought activity". Behaviour Research and Therapy. 28 (2): 153–158. doi:10.1016/0005-7967(90)90027-g.
^ Wegner, D. M.; Zanakos, S. (1994). "Chronic thought suppression". Journal of Personality. 62 (4): 615–640. doi:10.1111/j.1467-6494.1994.tb00311.x. ^ Schartau, P. E.; Dalgleish, T.; Dunn, B. D. (2009). "Seeing the bigger picture: training in perspective broadening reduces self-reported affect and psychophysiological response to distressing films and autobiographical memories". Journal of Abnormal Psychology. 118 (1): 15–27. doi:10.1037/a0012906. PMID 19222310. ^ Jackson, D. C.; Malmstadt, J. R.; Larson, C. L.; Davidson, R. J. (2000). "Suppression and enhancement of emotional responses to unpleasant pictures". Psychophysiology. 37 (4): 515–522. CiteSeerX 10.1.1.668.4076. doi:10.1111/1469-8986.3740515. ^ Ochsner, K. N.; Ray, R. R.; Cooper, J. C.; Robertson, E. R.; Chopra, S.; Gabrieli, J. D. E.; Gross, J. J. (2004). "For better or for worse: Neural systems supporting the cognitive down- and up-regulation of negative emotion". NeuroImage. 23 (2): 483–499. doi:10.1016/j.neuroimage.2004.06.030. ^ a b Gross, James; John, Oliver (2003). "Individual differences in two emotion regulation processes: Implications for affect, relationships, and well-being" (PDF). Journal of Personality and Social Psychology. 85 (2): 348–62. CiteSeerX 10.1.1.688.115. doi:10.1037/0022-3514.85.2.348. PMID 12916575. ^ a b Tamir, M (2009). "What do people want to feel and why? Pleasure and utility in emotion regulation". Current Directions in Psychological Science. 18 (2): 101–105. CiteSeerX 10.1.1.454.6507. doi:10.1111/j.1467-8721.2009.01617.x. ^ Ochsner, K. N.; Gross, J. J. (2008). "Cognitive emotion regulation: Insights from social, cognitive, affective neuroscience". Current Directions in Psychological Science. 17 (2): 153–158. doi:10.1111/j.1467-8721.2008.00566.x. PMC 4241349. PMID 25425765. ^ Ayduk, O.; Kross, E. (2009). "Asking why from a distance facilitates emotional processing: A reanalysis of Wimalaweera and Moulds (2008)". Behaviour Research and Therapy. 47: 88–92. doi:10.1016/j.brat.2008.06.014. PMID 19013553. ^ Ayduk, O.; Kross, E. (2010). "From a distance: Implications of spontaneous self-distancing for adaptive self-reflection". Journal of Personality and Social Psychology. 98 (5): 809–829. doi:10.1037/a0019205. PMC 2881638. PMID 20438226. ^ Samson, A. C.; Gross, J. J. (2012). "Humour as emotion regulation: The differential consequences of negative versus positive humour". Cognition and Emotion. 26 (2): 375–384. doi:10.1080/02699931.2011.585069. PMID 21756218. ^ Dan-Glauser, E. S.; Gross, J. J. (2011). "The temporal dynamics of two response-focused forms of emotion regulation: Experiential, expressive, and autonomic consequences". Psychophysiology. 48 (9): 1309–1322. doi:10.1111/j.1469-8986.2011.01191.x. PMC 3136552. PMID 21361967. ^ Butler, E. A.; Egloff, B.; Wlhelm, F. H.; Smith, N. C.; Erickson, E. A.; Gross, J. J. (2003). "The social consequences of expressive suppression". Emotion. 3 (1): 48–67. doi:10.1037/1528-3542.3.1.48. PMID 12899316. ^ Richards, Jane (August 2004). "The Cognitive Consequences of Concealing Feelings". Current Directions in Psychological Science. 13 (4): 131–134. doi:10.1111/j.0963-7214.2004.00291.x. ^ Sher, K. J. & Grekin, E. R. (2007). Alcohol and affect regulation. In J. J. Gross (Ed. ), Handbook of Emotion Regulation (pp. 560-580). New York: Guilford Press. ^ Oaten, Megan; Cheng, Ken (2006). "Longitudinal gains in self-regulation from regular physical exercise". British Journal of Health Psychology. 11 (4): 717–733. doi:10.1348/135910706X96481. PMID 17032494. ^ a b Walker, Matthew P. (March 2009). "The Role of Sleep in Cognition and Emotion" (PDF). Annals of the New York Academy of Sciences. 1156: 168–197. doi:10.1111/j.1749-6632.2009.04416.x. PMID 19338508. Retrieved 25 November 2015. ^ Beattie, Louise; Kyle, Simon D.; Espie, Colin A.; Biello, Stephany M. (December 2015). "Social interactions, emotion and sleep: A systematic review and research agenda". Sleep Medicine Reviews. 24: 83–100. doi:10.1016/j.smrv.2014.12.005. PMID 25697832. ^ Berking, Matthias; Wupperman, Peggilee; Reichardt, Alexander; Pejic, Tanja; Dippel, Alexandra; Znoj, Hansjörg (November 2008). "Emotion-regulation skills as a treatment target in psychotherapy". Behaviour Research and Therapy. 46 (11): 1230–1237. doi:10.1016/j.brat.2008.08.005. PMID 18835479. ^ Kring, Ann M.; Sloan, Denise M., eds. (2010). Emotion Regulation and Psychopathology: A Transdiagnostic Approach to Etiology and Treatment. New York: Guilford Press. ISBN 9781606234501. OCLC 319318901. ^ Linehan, Marsha M. (2015). DBT Skills Training Manual (2nd ed.). New York: Guilford Press. p. 382. ISBN 9781462516995. OCLC 883366057. ^ Derryberr, D., & Rothbart, M. K. (2001). Early temperament and emotional development. In A. F. Kalverboer & A. Gramsbergen (Eds. ), Handbook of Brain and Behavior in Human Development (pp. 967-988). Dordrecht, The Netherlands: Kluwer Academic. ^ a b Rothbart, M., Ziaie, H., & O'Boyle, C. (1992). Self-regulation and emotion in infancy. In N. Eisenberg, & R. Fabes (Eds. ), Emotion and Its Regulation in Early Development (pp. 7-23). San Francisco: Jossey-Bass/Pfeiffer. ^ Malatesta, C.Z. ; Grigoryev, P.; Lamb, C.; Albin, M.; Culver, C. (1986). "Emotional socialization and expressive development in preterm and full-term infants". Child Development. 57 (2): 316–330. doi:10.2307/1130587. JSTOR 1130587. PMID 3956316. ^ Kochanska, G.; Coy, K. C.; Murray, K. Y. (2001). "The development of self-regulation in the first four years of life". Child Development. 72 (4): 1091–1111. CiteSeerX 10.1.1.333.4872. doi:10.1111/1467-8624.00336. ^ Stifter, C. A.; Braungart, J. M. (1995). "The regulation of negative reactivity in infancy: Function and development". Developmental Psychology. 31 (3): 448–455. doi:10.1037/0012-1649.31.3.448. ^ Kopp, C (1982). "Antecedents of self-regulation: A developmental perspective". Developmental Psychology. 18 (2): 199–214. doi:10.1037/0012-1649.18.2.199. ^ Diener, M.; Mangelsdorf, S.; McHale, J.; Frosch, C. (2002). "Infants' behavioral strategies for emotion regulation with fathers and mothers: Associations with emotional expressions and attachment quality". Infancy. 3 (2): 153–174. doi:10.1207/s15327078in0302_3. ^ Buss, K.A. ; Goldsmith, H.H. (1998). "Fear and anger regulation in infancy: Effects on temporal dynamics of affective expression". Child Development. 69 (2): 359–374. doi:10.1111/j.1467-8624.1998.tb06195.x. PMID 9586212. ^ Bridges, L.J. ; Grolnick, W.S. (1995). "The development of emotional self-regulation in infancy and early childhood". Social Development. 15: 185–211. ^ a b Calkins, S. D., & Hill, A. (2007). Caregiver influence on emerging emotion regulation: Biological and environmental transactions in early development. In J. J. Gross (Ed. ), Handbook of Emotion Regulation (pp. 229-248). New York: Guilford Press. ^ Sroufe, L. A. (1996). Emotional development: The organization of emotional life in the early years. New York: Cambridge University Press. ^ Kochanska, G (2001). "Emotional development in children with different attachment histories: The first three years". Child Development. 72 (2): 474–490. doi:10.1111/1467-8624.00291. ^ Trehub, S. E.; Ghazban, N.; Corbeil, M. (2015). "Musical affect regulation in infancy". Annals of the New York Academy of Sciences. 1337 (1): 186–192. doi:10.1111/nyas.12622. PMID 25773634. ^ Kopp, C.B. (1989). "Regulation of distress and negative emotions". Developmental Psychology. 25 (3): 343–354. doi:10.1037/0012-1649.25.3.343. ^ Rueda, M. R., Posner, M. I., & Rothbart, M. K. (2004). Attentional control and self-regulation. In R. F. Baumeister & K. D. Vohs (Eds. ), Handbook of self-regulation: Research, theory, and applications (pp. 283-300). New York: Guilford Press. ^ Kopp, C. (1989). "Regulation of distress and negative emotions: A developmental view". Developmental Psychology. 25 (3): 243–254. doi:10.1037/0012-1649.25.3.343. ^ Thompson, R.A. (1994). "Emotional regulation: A theme in search of definition". Monographs of Society for Research in Child Development. 59 (2–3): 2–3. doi:10.1111/j.1540-5834.1994.tb01276.x. ^ Harris, P. L. (1983). "Children's understanding of the link between situation and emotion". Journal of Experimental Child Psychology. 33 (3): 1–20. doi:10.1016/0022-0965(83)90048-6. ^ Stegge, H. & Terwog, M. M. (2007). Awareness and regulation of emotion in typical and atypical development. In J. J. Gross (Ed. ), Handbook of Emotion Regulation (pp. 269-286). New York: Guilford Press. ^ Caspi, A.; Moffitt, T.E. ; Morgan, J.; Rutter, M.; Taylor, A.; Arseneault, L.; Tully, L.; Jacobs, C.; Kim-Cohen, J.; Polo-Tomas, M. (2004). "Maternal expressed emotion predicts children's antisocial behaviour problems: Using monozygotic-twin differences to identify environmental effects on behavioural development". Developmental Psychology. 40 (2): 149–161. doi:10.1037/0012-1649.40.2.149. PMID 14979757. ^ Eisenberg, N.; Zhou, Q.; Koller, S. (2001). "Brazilian adolescents' prosocial moral judgement and behaviour: Relations to sympathy, perspective-taking, gender-role orientation, and demographic characteristics". Child Development. 72 (2): 518–534. doi:10.1111/1467-8624.00294. PMID 11333082. ^ Maughan, A.; Cicchetti, D. (2002). "Impact of child maltreatment and interadult violence on children's emotional regulation abilities and socioemotional adjustements". Child Development. 73 (5): 1525–1542. doi:10.1111/1467-8624.00488. PMID 12361317. ^ Valiente, C.; Fabes, R.A.; Eisenberg, N.; Spinrad, T.L. (2004). "The relations of parental expressivity and support to children's coping with daily stress". Journal of Family Psychology. 18 (1): 97–106. doi:10.1037/0893-3200.18.1.97. PMID 14992613. ^ Zeman, J.; Garber, J. (1996). "Display rules for anger, sadness, and pain: it depends on who is watching". Child Development. 67 (3): 957–973. doi:10.2307/1131873. JSTOR 1131873. ^ Garnefski, N.; Kraaij, V. (2006). "Relationships between cognitive emotion regulation strategies and depressive symptoms: A comparative study of five specific samples". Personality and Individual Differences. 40 (8): 1659–1669. doi:10.1016/j.paid.2005.12.009. ^ Luna, B.; Padmanabhan, A.; O'Hearn, K. (2010). "What has fMRI told us about the development of cognitive control through adolescence?". Brain and Cognition. 72 (1): 101–113. doi:10.1016/j.bandc.2009.08.005. PMC 2815087. PMID 19765880. ^ Carstensen, L. A. L.; Fung, H.; Charlse, S. (2003). "Socioemotional selectivity theory and the regulation of emotion in the second half of life". Motivation and Emotion. 27 (2): 103–123. doi:10.1023/a:1024569803230. ^ Lawton, M. P. (2001). "Emotion in later life". Current Directions in Psychological Science. 20 (4): 120–123. doi:10.1111/1467-8721.00130. ^ Labouvie-Vief, Gisela (December 2003). "Dynamic Integration:Affect, Cognition and the Self in Adulthood". Current Directions in Psychological Science. 12 (6): 201–206. doi:10.1046/j.0963-7214.2003.01262.x. ^ Davidson, R. J. (1998). "Affective Style and Affective Disorders: Perspectives from Affective Neuroscience". Cognition and Emotion. 12 (3): 307–330. CiteSeerX 10.1.1.670.1877. doi:10.1080/026999398379628. ^ Ruef, Anna Marie; Levenson, Robert W. Coan, James A. (Ed); Allen, John J. B. (Ed) "Continuous measurement of emotion: The affect rating dial" (2007). Handbook of emotion elicitation and assessment. Series in affective science., New York, NY, US: Oxford University Press, pp. 287–297. ^ Geschwind N.; Peeters, F; Drukker, M; Van Os, J; Wichers, M (2011). "Mindfulness training increases momentary positive emotions and reward experience in adults vulnerable to depression: A randomized controlled trial". Journal of Consulting and Clinical Psychology. 79 (5): 618–28. doi:10.1037/a0024595. PMID 21767001. ^ Frank, DW; Dewitt, M; Hudgens-Haney, ME; Schaeffer, DJ; Ball, BH; Schwarz, NF; Hussein, AA; Smart, LM; Sabatinelli, D (2014). "Emotion regulation: Quantitative meta-analysis of functional activation and deactivation". Neuroscience & Biobehavioral Reviews. 45: 202–211. doi:10.1016/j.neubiorev.2014.06.010. ^ Davidson, R.J.; Putnam, K.M. ; Larson, C.L. (2000). "Dysfunction in the neural circuitry of emotion regulation: A possible prelude to violence". Science. 289 (5479): 591–594. doi:10.1126/science.289.5479.591. ^ a b Elfenbein, H. A.; Ambady, N. (2002). "On the universality and cultural specificity of emotion recognition: a meta-analysis". Psychological Bulletin. 128 (2): 203–235. doi:10.1037/0033-2909.128.2.203. PMID 11931516. ^ Ekman, P.; Friesen, W. V.; Ancoli, S. (1980). "Facial signs of emotional experience". Journal of Personality and Social Psychology. 39 (6): 1125–1134. CiteSeerX 10.1.1.306.6112. doi:10.1037/h0077722. ^ Izard, C. E. (1990). "Facial expressions and the regulation of emotions". Journal of Personality and Social Psychology. 58 (3): 487–498. doi:10.1037/0022-3514.58.3.487. PMID 2182826. ^ Charles, S. T.; Carstensen, L. L. (2008). "Unpleasant situations elicit different emotional responses in younger and older adults". Psychology and Aging. 23 (3): 495–504. doi:10.1037/a0013284. PMC 2677442. PMID 18808240. ^ Holodynski, Manfred (2004). "The Miniaturization of Expression in the Development of Emotional Self-Regulation". Developmental Psychology. 40 (1): 16–28. doi:10.1037/0012-1649.40.1.16. PMID 14700461. ^ a b Shcherbatykh, Yu. V. (2000). "Self-Regulation of Autonomic Homeostasis in Emotional Stress". Human Physiology. 26 (5): 641–642. doi:10.1007/BF02760382. ^ Miclea, M.; Miu, A. (2010). "Emotion Regulation and Decision Making Under Risk and Uncertainty". Emotion. 10 (2): 257–65. doi:10.1037/a0018489. PMID 20364902. ^ Gross, J. J. (2002). "Emotion regulation: Affective, cognitive, and social consequences" (PDF). Psychophysiology. 39 (3): 281–91. doi:10.1017/s0048577201393198. PMID 12212647. ^ Bandura, A.; Caprara, G. V.; Barbaranelli, C.; Gerbino, M.; Pastorelli, C. (2003). "Role of Affective Self-Regulatory Efficacy in Diverse Spheres of Psychosocial Functioning". Child Development. 74 (3): 769–82. doi:10.1111/1467-8624.00567. JSTOR 3696228. PMID 12795389.